The tremendous sound of the explosion reverberated throughout the city, and people rushed to the docks to witness the spectacle. The ship, torn apart for two-thirds of her length, sank almost immediately with about 20 feet of her upper works still visible. It was immediately clear that the death toll would be large. Among the dead were several individuals who were as much victims of fate as of the explosion of the steamer. James R. Hobby, 25-years-old, was assisting a clerk who had gone on board to check on a shipment for his employer. The clerk had returned to the office moments earlier, leaving James to finish the work. Patrick Donahoe was killed by a large oak beam as he stood in front of a saloon on Wells Street. A father and two daughters who had booked passage on the ship and left it after it docked,returned to pick up their luggage just before the disaster. The father and one of his daughters died. The other daughter survived. The explosion of the steamer was of such force that huge pieces of the vessel were hurled in all directions, prompting incredible stories of near-misses. Nelson Luddington was driving his buggy along Wells Street when a stick of firewood from the Globe completely destroyed the buggy. A 200-pound piece of chain was hurled through the window of a produce dealer, slamming into a heavy iron safe, which prevented it from traveling through the wall into the adjoining office where several people were at work. A 200-pound deck beam rocketed through the fourth floor window of a business on Lake Street, near Wells. A large piece of chain, about five feet long, fell through the roof and ceiling of the Merchants’ Police Station on Wells Street and passed between two men as they lay sleeping after doing night service. Captain Amos Pratt had left the boat at about 7:30 a.m., about two hours before the explosion. His belief was that after the boat docked, water was drawn down in one of the boilers while the other boiler was keep at a low pressure for moving the boat and hoisting freight. He surmised that explosion was caused by “carelessness on the part of someone,” most probably by failure to check the system adequately before introducing cold river water into a red-hot boiler that had no water in it. The boilers had passed an inspection by United States officials the previous May in Buffalo. The Globe lay where it sank until April of 1862 as the parties involved in its removal fought over who would pay for the operation. In February of that year the Chicago City Attorney ruled that the city was most certainly not responsible for cleaning up the wreckage. By March the boat’s owners had hired contractor Martin Quigley to clean up the wreckage, paying him $1,500 and any material that he could salvage. In that process another crewmember’s body, believed to be the fireman’s, was found on March 18, 1861. 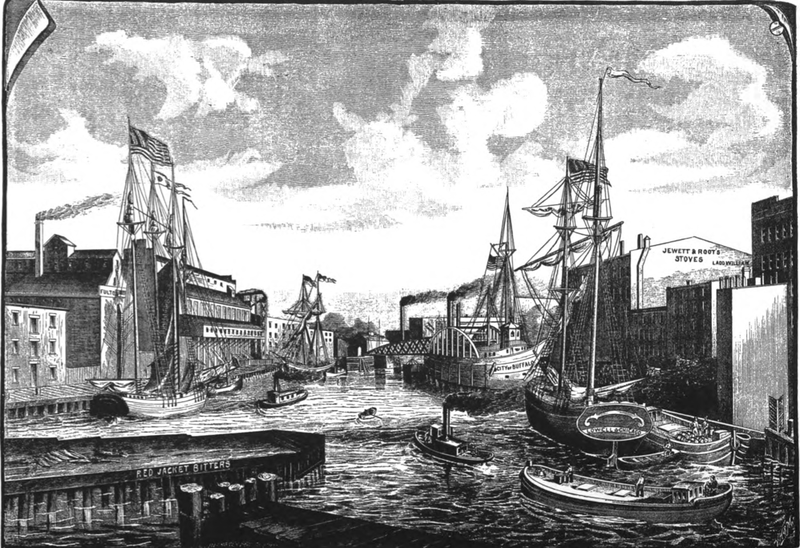 In a short two-sentence blurb on April 3 The Tribune reported that three tugboats were towing the hulk toward Miller & Hook’s dry dock on the north branch of the river. “It is good riddance to our river,” the paper concluded.